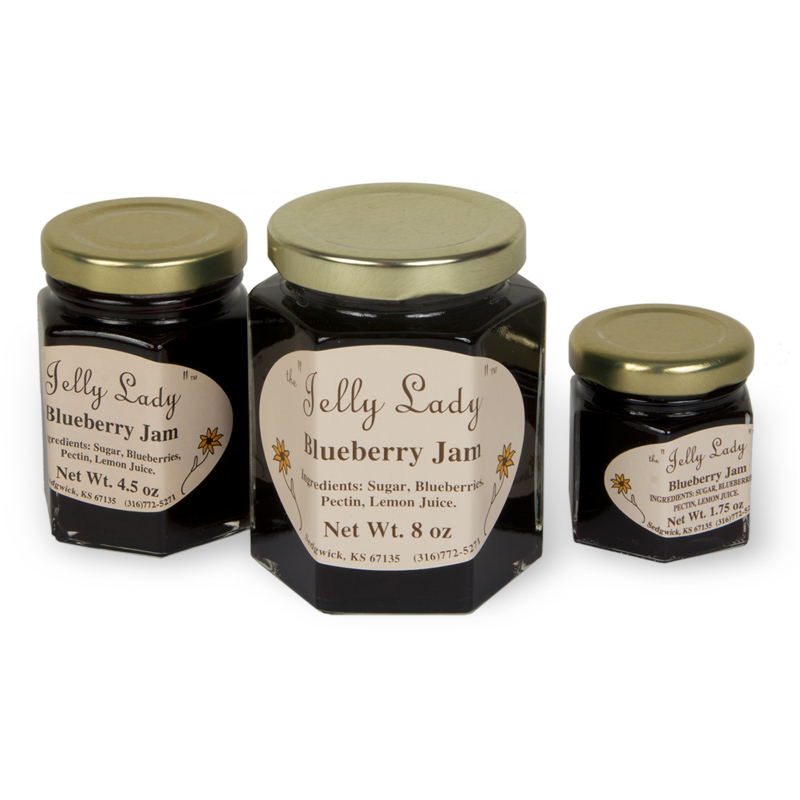 Made from rich berries from Kansas, this flavorful jam is also wonderfully fragrant. Grown on bushes, the taste of the berries is deliciously sweet. These truly unique and wonderful Kansas jams and jelly flavors are inspired by nature and packaged in three different sizes. By the Jelly Lady of Sedgwick, Kansas. Judy Gutzmer, of Sedgwick, Kansas, offers exotic jellies, much picked from the wild, made of dandelion, wild sunflower, sandhill plum, and jalapeno mixed with cream cheese. Located near Wichita in the small town of Sedgwick, Gutzmer developed a unique line of flavors. Inspired from wild native plants, she creates exotic jellies, jams, and gift sets with flavors unavailable elsewhere. Gutzmer often picks the fruit from the wild. Made with interesting plants found in pastures and out in the country, Gutzmer’s products truly offer an old-fashioned taste sensation.